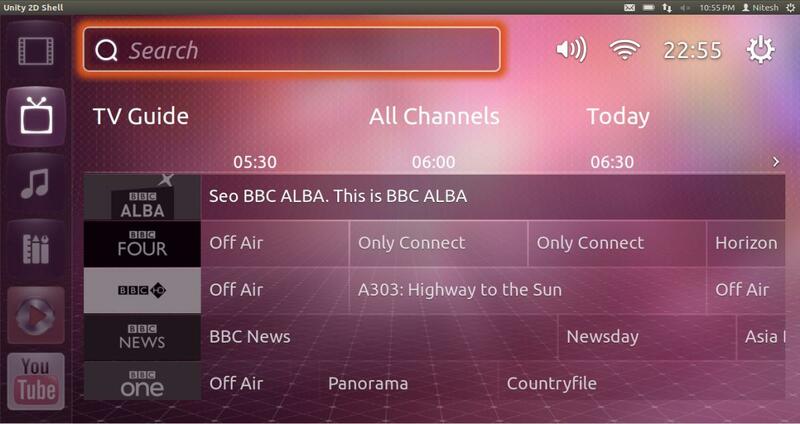 Ubuntu TV has been revealed by Canonical earlier today. The interface is made of same underlying tech that powers Ubuntu desktop. Using dash, lenses, scopes, universal search bar etc. a pretty neat interface has been created. Since many people want to try it out, I have written a short guide below. 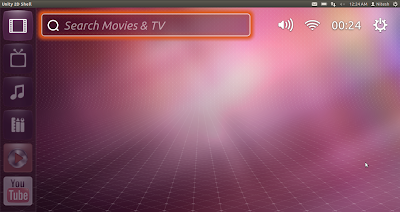 Detailed Instructions for installing Ubuntu TV on Oneiric can be found here. I have installed Ubuntu TV using method explained below but both are essentially same. However, the method on wiki should always supersede. Also Ubuntu TV is just a concept yet so many things are not working. It will take you nowhere so install it you just want to get a feel of it. One last thing before I go ahead. Don't try on your production system. Do it on virtualbox because installing Ubuntu TV will break your existing Unity2D packages. Now the run commands below to make deb packages out of the code. It will take some time. Unity Video Lens will show all the videos you have in special folders. It will ignore everything else. There are four folders to be filled with media. So put some media files in them. All right everything is done. Now we just need to run the shell. Remember many things wont work. For me, video list appeared when searching for a moment and then I never got to work it again. You can navigate through the interface by using arrow keys and F1, F2, F3 are shortcuts for launcher, top bar (in player), sidebar, respectively.